SUT is a certification granting organization that certifies, qualifies and validates individuals in hands-on performance based information/cyber security skills. Since 20004 SUT is the Leading provider of hands-on performance based certifications, and the creator of the world famous Qualified/ Information Security Professional Certificate of Mastery. The Q/ISP Micro Badges are earned by taking the Qualified/ Ethical Hacker (Q/EH) exam, Qualified/Security Analyst (Q/SA) exam , Qualified/Forensics Expert (Q/FE), Qualified/ Network Defender (Q/ND) exam offered globally by Testrac . Standard certifications are proof an individual meets a minimum competency standard. Feedback from our qualified cybersecurity professionals indicate that they have met a higher qualified standard in the field practice doing their job everyday. Qualifying data return results confirms SUT qualified cybersecurity professionals perform above minimum standards from the very beginning in their field of practice. The Q/ISP Certificate of Mastery stands alone as the only performance based Qualified CyberSecurity Certificate. 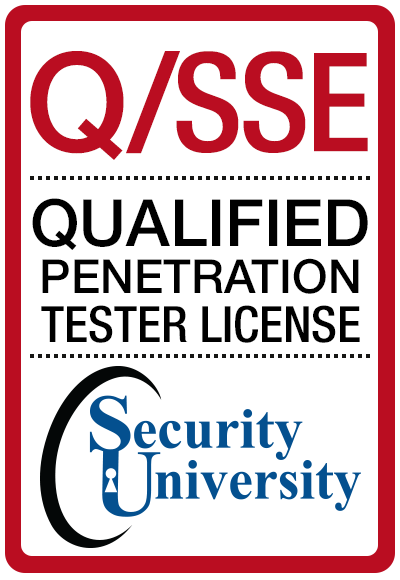 As of January 2013 SUT has certified thousands of cyber security professionals to achieve the Q/ISP Certification. These cyber professionals help protect the finest organizations around the world such as the US Army, USAirforce, NAVY, FBI, US Senate, Microsoft, IBM, Lockheed Martin, BAH, SAIC, Grumman, and 15,000+ US Servicemen and Women, and Oman Ministry of Defense. 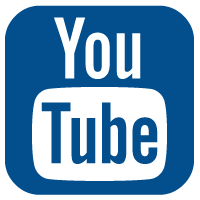 The Q/ISP - Q/EH, Q/SA, Q/FE, Q/ND exams are approved by the NSA – CNSS Committee on National Security Systems CNSS 4011, 4012, 4013A, 4015, 4016E, I, A Standards. Earning your Q/ISP certifications makes a statement about your commitment to CyberSecurity. 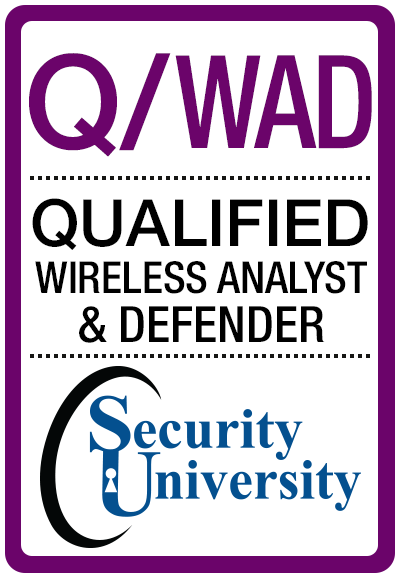 You'll be recognized as an individual who is qualified to implement information security, who is knowledgeable, serious, and is a dedicated professional - a part of the globally recognized Q/ISP Qualified/ Information Security Professional family. 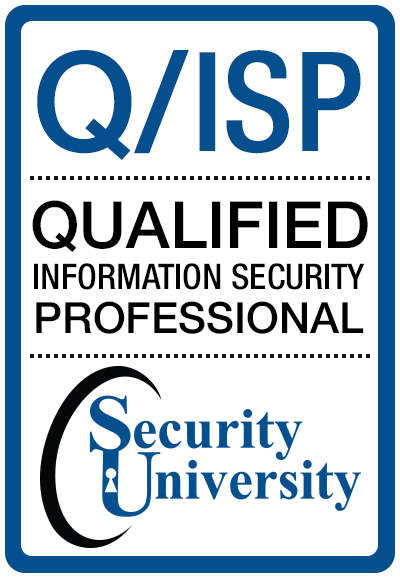 Your Q/ISP micro credential certifications will open doors and provide networking opportunities at the Mastery level of Information Security, Information Assurance and Cyber Security.